Pride began as a political march—and it remains just as political today for this Toronto woman. 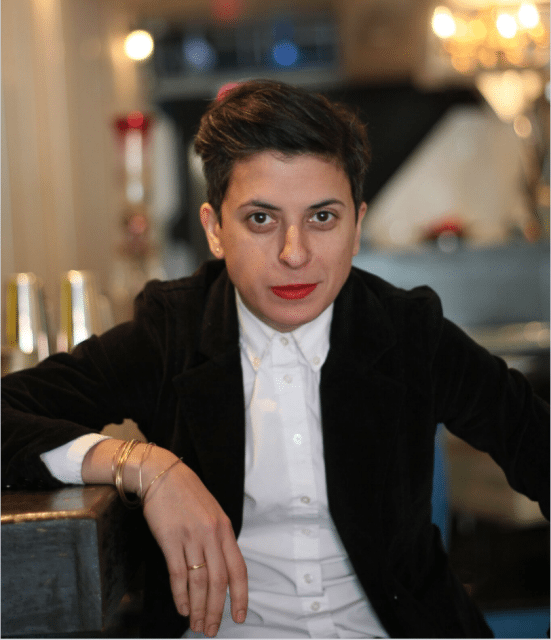 Samira Mohyeddin is a broadcaster and journalist, and a regular Torontoist contributor. Here’s what Pride means to her. Journalist and broadcaster Samira Mohyeddin. Photo by Samra Habib. The year was 1998. Toronto’s mayor was Mel Lastman, and he, like me, was readying to attend his first Pride Parade. I was still coming to terms with my sexuality in my early twenties; I hadn’t told my parents yet. I also actively avoided the Church Street scene because it did not reflect me: it was mostly male, mostly white, and mostly boring. And Pride was too corporate for me. What was once a protest against persecution was now run in association with multi-million-dollar companies champing at the bit to support our community. It was hard not to be cynical. But I went to the Parade anyway, and stood my ground. There were no colourful beads around my neck that year, no glitter on my body. I came to march. I came to protest for all those who did not have the right to love who and how they wanted. I am an Iranian-Canadian whose parents immigrated to Toronto to raise their children under a government that would not systemically practise prejudice. It was—and still is—important for me to raise the voices of those Iranians who were not allowed to love their own, and who lived under a government that regulated love. They were actively persecuted and prosecuted for being gay or lesbian—and I felt a calling to speak up on their behalf. But having my voice—and the voices of others—heard was not that easy as the years progressed. This was most evident in 2010 when then-city councillor Rob Ford and Councillor Giorgio Mammoliti passed a motion that all groups and participants must comply with the City’s anti-discrimination policy. In 2011, Mammoliti also filmed the Dyke March and used footage of the now-defunct group Queers Against Israeli Apartheid participation to argue that the City should pull funding from Pride because it promotes hate. Although Mammoliti had the support of then-deputy mayor Doug Holyday, he was unsuccessful in pushing for the City’s defunding of Pride. The situation has improved in the years since. Mayor John Tory is a staunch supporter of LGBTQ Torontonians. City Council has voted to support the community—including, just last week, devoting $1.5 million to a second LGBTQ youth transitional home. And this year, for the first time ever, our mayor, premier, and prime minister will march together at Pride. As an immigrant, it can sometimes feel like you are the only person in your community that identifies as LGBTQ. The Pride Parade showed me that I wasn’t alone. In fact, in 1998, there was a very small group of Iranian-Canadians marching. Although I did not join them, I am glad to say that every year their numbers and visibility have increased. Our community continues to raise its voice and to carve a space out for itself in the Canadian LGBTQ2S mosaic. For me, Pride will always be a political march. These days, you’ll find me throwing glitter in the air and shaking my booty on the sidelines. But Pride, to me, is about loving who I choose to, and seeking the end of injustice, no matter the community or cause. Love is stronger than pride.